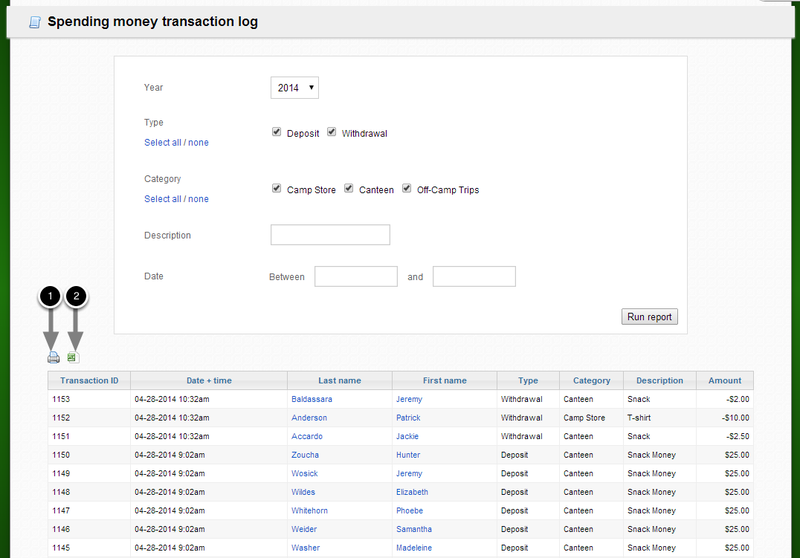 The Spending Money Transaction log allows you to view Camper's Spending Money transactions based on selected criteria. From the Spending Money Landing Page, click "Spending money transaction log"
Transactions with your selected criteria will display. Fifty transactions will show on the page. Use the arrows on the bottom of the page to view more transactions. Overall balance for transactions with your selected criteria.